Apples are my favorite fruit. They keep well, are crunchy and sweet, travel easily, and are completely delicious. Being that we live in the land of Johnny Appleseed, Ohio apples are in abundance from June - October. We pick bushels (literally) and eat apples fresh, dried, and sauced. 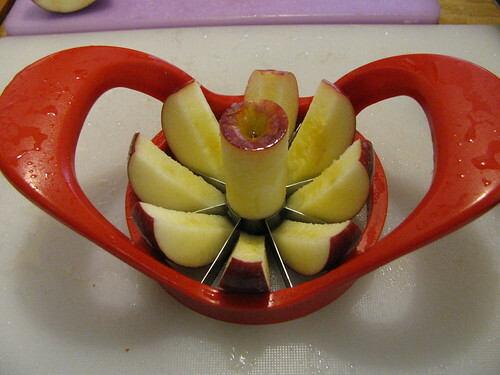 1) Core and peel (optional) apples. Add spices or lemon juice (to preserve color) if you wish. Personally, we make two varieties each year. 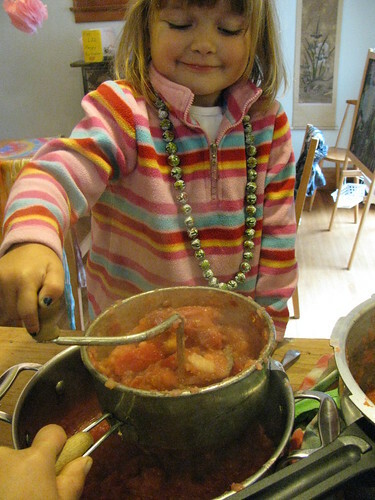 Method A (my sisters' favorite) is to peel and core the apples, chop finely, and stew on the stove. 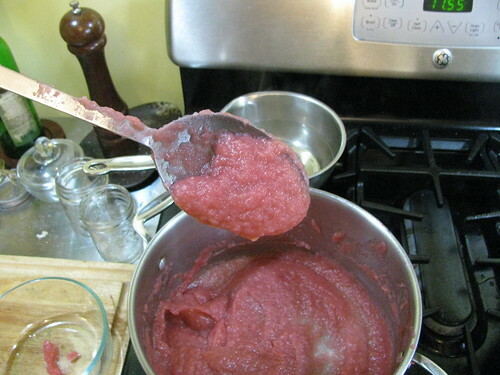 This makes an evenly textured sauce called 'chunky applesauce' in my family. 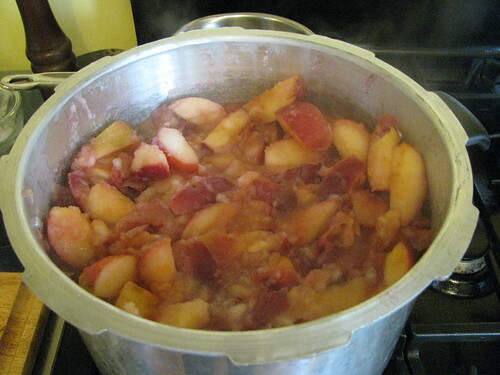 The other, easier variety is 'smooth applesauce' made by coring and slicing in one step with an apple slicer, stewing on the stove, then processing with a food mill. I prefer stove top stewing vs. oven baking because it is faster and the less cooking for the apples, the less nutritional value lost.